"We passed legislation on the defense bill prohibiting torture, including waterboarding. Do you intend to follow that law?" Sen. John McCain asked Gen. John Kelly during the hearing to confirm him as the head of the Department of Homeland Security. 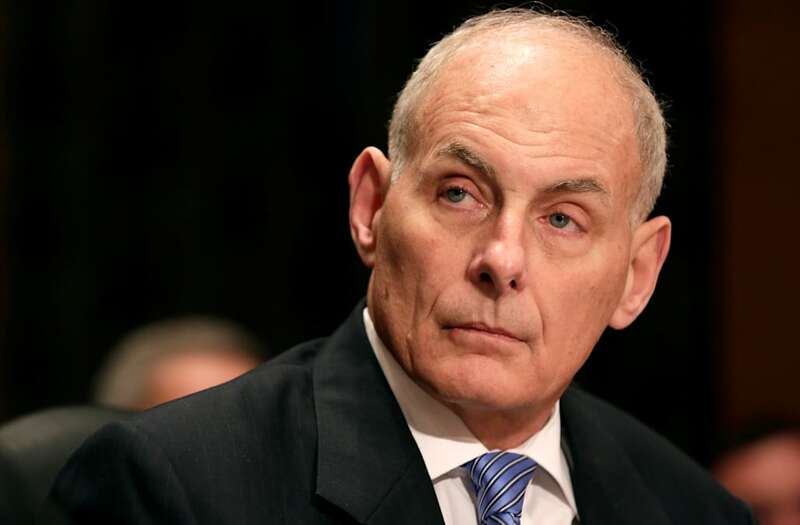 Kelly, Donald Trump's pick to head the Department of Homeland Security, doesn't appear to agree with the president-elect on some of his most controversial campaign promises. Kelly, a retired four-star general, spent years in Iraq and said the military should never come close to doing anything that would violate the Geneva Conventions. That's the opposite of what Trump has promised to do. "I would bring back waterboarding, and I'd bring back a hell of a lot worse than waterboarding," Trump said at a Republican presidential debate. Kelly also split from Trump's promises to target Muslim citizens and immigrants as a way to prevent terrorism. "Will you commit to ensuring religion does not become a basis for U.S. counterterrorism or law enforcement policy ..." asked Sen. Gary Peters. "I don't think it is ever appropriate to focus on something like religion as the only factor. So yes, sir," Kelly answered. Kelly said that while serving in Iraq, he partnered with Muslim communities and gained their trust. He said that was one of the most effective strategies in combating terrorism. President Obama recently ended the controversial National Security Entry-Exit Registration System program. It required immigrants from certain countries to register with the government. Trump's attorney general pick, Jeff Sessions, was also unwilling to support Trump's promises to revive waterboarding and block Muslims from emigrating into the country.